This is the definitive, one-stop resource on preclinical drug evaluation for potential mitochondrial toxicity, addressing the issue upfront in the drug development process. It discusses mitochondrial impairment to organs, skeletal muscle, and nervous systems and details methodologies used to assess mitochondria function. It covers both in vitro and in vivo methods for analysis and includes the latest models. 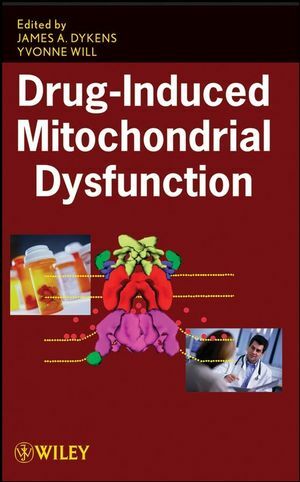 This is the authoritative reference on drug-induced mitochondrial dysfunction for safety assessment professionals in the pharmaceutical industry and for pharmacologists and toxicologists in both drug and environmental health sciences. James A. Dykens, PhD, is an Associate Research Fellow in Pfizer's Drug Safety Research and Development Department. Currently in Sandwich, England, he previously worked in a similar role with Pfizer in La Jolla, California. Prior to his work with Pfizer, Dr. Dykens was the senior director of technology development for MIGENIX Inc., a senior scientist and the director of business development at MitoKor, Inc., and a senior principal scientist at Parke-Davis Pharmaceutical Research. Dr. Dykens has published extensively on drug-induced mitochondrial dysfunction, on the role of mitochondrial free radical production in the etiology of neurodegenerative diseases, and on the physiological ecology of marine symbioses. Yvonne Will, PhD, works in Pfizer's Exploratory Safety Differentiation Group in Groton, Connecticut. Prior to this position, she led Pfizer's Investigative Biochemical Toxicity Group within the Drug Safety Research and Development Department in La Jolla. 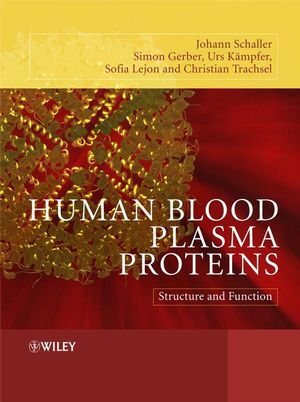 Before joining Pfizer, Dr. Will worked on mitochondrial proteomics and physiology at MitoKor, Inc. Dr. Will has authored a host of articles and book chapters. She is a member of the Society of Toxicology and a frequent speaker for groups like ACT and World Pharmaceutical Congress. 1. Basic Mitochondrial Physiology in Cell Viability and Death (Lech Wojtczak and Krzysztof Zabtocki). 2. Basic Molecular Biology of Mitochondrial Replication (Immo E. Scheffler). 3. Drug-Associated Mitochondrial Toxicity (Rhea Mehta, Katie Chan, Owen Lee, Shahrzad Tafazoli, and Peter J. O'Brien). 4. Pharmacogenetics of Mitochondrial Drug Toxicity (Neil Howell and Corinna Howell). Part II: Organ Drug Toxicity: Mitochondrial Etiology. 5. Features and Mechanisms of Drug-Induced Liver Injury (Dominique Pessayre, Alain Berson, and Bernard Fromenty). 6. Cardiovascular Toxicity of Mitochondrial Origin (Paulo J. Oliveira, Vilma A. Saradao, and Kendall B. Wallace). 7. Skeletal Muscle and Mitochondrial toxicity (Timothy E. Johnson). 8. Manifestations of Drug Toxicity on Mitochondria in the Nervous System (Ian J. Reynolds). 9. Lipoatrophy and Other Manifestations of Antiretroviral Therapeutics (Ulrich A. Walker). 10. Nephrotoxocity (Alberto Ortiz, Alberto Tejedor, and Carlos Caramelo). 11. Drug Effects in Patients with Mitochondrial Diseases (Eric A. Schon, Michio Hirano, and Salvatore DiMauro). Part III: Assessment of Mitochondrial Function in Vitro and In Vivo. 12. Polarographic Oxygen Sensors, the Oxygraph, and High-Resolution Respirometry to Assess Mitochondrial Function (Erich Gnaiger). 13. Use of Oxygen-Sensitive Fluorescent Probes for the Assesment of Mitochondrial Function (James Hynes, Tomas C. O'riordan, and Dmitri B. Papkovsky). 14. Mitochondrial Dysfunction Assessed Quantitatively in Real Time by Measuring the Extracellular Flux of Oxygen and Protons (David Ferrick, Min Wu, Amy Swift, and Andy Neilson). 15. Assessment of Mitochondrial Respiratory Complex Function In Vitro and In Vivo (Mark A. Birch -Machin). 16. OXPHOS Complex Activity Assays and Dipstick Immunoassays for Assessment of OXPHOS Protein Levels (Sashi Nadanaciva). 17. Use of Fluorescent Reporters to Measure Mitochondrial Membrane Potential and the Mitochondrial Permeability Transition (Anna Liisa Nieminen, Benkat K. Ramshesh, and John L. Lemasters). 18. Compartmentation of Redox Signaling and Control: Discrimination of Oxidative Stress in Mitochondria, Cytoplasm, Nuclei, and endoplasmic Reticulum (Patrick J. Halvey, Jason M. Hansen, Lawrence H. Lash, and Dean P. Hones). 19. Assessing Mitochondrial Protein Synthesis in Drug Toxicity Screening (Edward E. McKee). 20. Mitochondrial Toxicity of Antiviral Drugs: A Challenge to Accurate Diagnosis (Michel P. de Baar and Anthony de Ronde). 21. Clinical Assessment of Mitochondrial Function via [13C]Methionine Exhalation (Laura Milazzo). 22. Assessment of Mitochondrial Dysfunction by Microscopy (Ingrid Pruimboom-Brees, Germaine Boucher, Amy Jakowski, and Jeanne Wolfgang). 23. Development of Animal Models of Drug-Induced Mitochondrial Toxicity (Urs A. Boelsterli and Yie Hou Lee). 24. Noninvasive Assessment of Mitochondrial Function Using Nuclear Magnetic Resonance Spectroscopy (Robert W. Wiseman and J.A. L. Jeneson). 25. Targeting Antioxidants to Mitochondria by Conjugation to Lipophilic Cations (Michael P. Murphy).